Europe needs a radical change to its austerity-driven policies and not multiple speeds as Germany’s Angela Merkel suggests, high-ranking Social-Democrat, Green and leftist officials told euractiv.com. German Chancellor Angela Merkel said last week in Malta that European leaders may commit to a union of “different speeds” when they make a major declaration on its future at a summit in Rome next month. 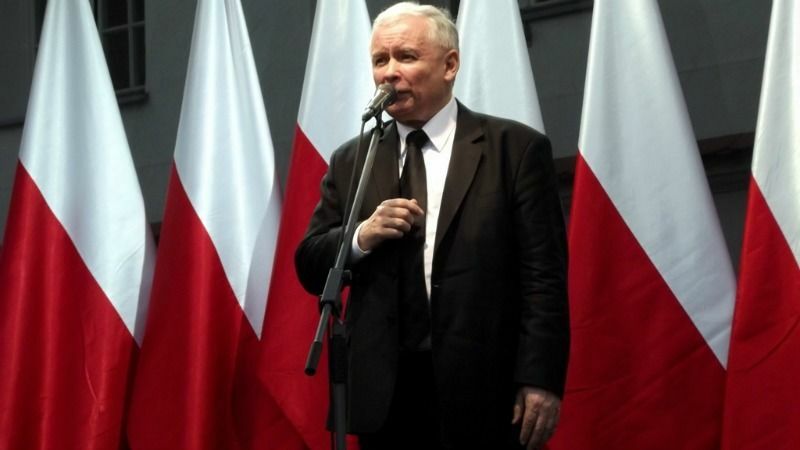 The powerful head of Poland’s ruling party yesterday (8 February) warned that any moves toward a two-speed European Union would lead to the bloc falling apart. Her statement triggered the strong reaction from centre-left politicians, who accused Merkel of attempting to divide Europe into a poor South and a wealthy North. Socialists went further, arguing that such a proposal could be as dangerous as the future represented by nationalists and anti-European forces. Asked whether Merkel’s proposal could be a turning point for Europe, Gianni Pittella, the Socialists & Democrats (S&D) chief in the European Parliament, said that the German Chancellor seemed “to have reinvented the wheel”. The Italian politician admitted we already have a two-speed (or multiple-speed) Europe, with the eurozone and Schengen as perfect examples. “The fact that now, during the German electoral campaign, Merkel comes up with this no-news idea, should sound a warning bell. Especially because, as rightly underlined by Mr. Romano Prodi [former President of the European Commission], this relaunch of the two-speed Europe idea does not come up at the end of a wide-ranging and deep European debate,” Pittella noted. He continued, saying that the EU socialists will reject an idea to set up a sort of “luxury club” of the highest-performing Northern European countries, in which the austerity approach and “hawks like [finance minister Wolfgang] Schäuble play the role of the absolute kingmaker against the less well-off countries from Southern Europe”. For the socialist politicians, the point is not whether the high performance group should be open to other countries willing to join but what policies should be adopted. “The point is what kind of policies you want to further integrate and how. Once the content and the procedures are clarified, we can finally assess our position,” the S&D chief said. He reiterated his opposition to the “stupid” stability and growth pact rules and underlined the need to apply these rules in a political way, rather than to the letter. Gabriele Zimmer, the President of the leftist GUE/NGL group in the European Parliament, attacked the German Chancellor as well as Schäuble, urging them to stop blackmailing Southern European countries like Greece and abusing European partners for their own gain in their election campaign in Germany. “It is just hypocrisy asking for different speeds in the EU after the politics of Merkel&Co has caused an increase in social and economic inequality between the centre and the periphery in the EU,” the German politician said. She added that the aggressive export policies of countries such as Germany significantly contributed to this widening gap between EU member states. “Instead of different speeds, we need to reverse the current policies and push for a new politics of equality such as limiting surpluses and standing up for a social Union in order to allow for more convergence at a high level,” the Die Linke politician concluded. In a joint reply, European Green Party co-chairs Monica Frassoni and Reinhard Bütikofer said that their party opposed a Europe à la carte in which “everybody chooses what to do and in which the Parliament and Commission would clearly be sidelined”. The Greens are in favour of the organisation of a large and open debate, in which political intentions will be presented. 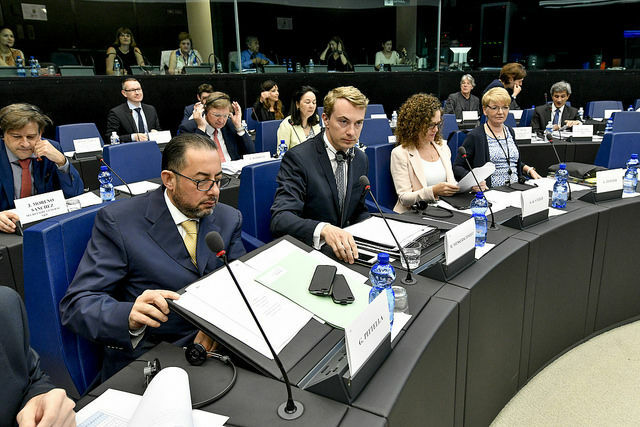 “This debate will clarify who wants a political union based on the rule of law, the will to innovate and transform the European economy in a sustainable way and the necessity to democratise and make more transparent and efficient the common institutions,” the Green politicians emphasised. Already member States exert an extremely tough control over the Commission’s proposals and positions. If you add a control by 28 national parliaments, this is the very end of the EU.